The Task Force released its recommendation report on January 2, 2018, calling for an increase in state gas tax revenues to deliver economic growth, and the creation of a dedicated revenue stream of $50 to $70 million for transit and other multi-modal transportation. More specifically, the Task Force is recommending a 10 cent hike in the gas tax and 12 cent hike in the diesel fuel tax. . . .
With regards to the $50 to $70 million for the dedicated stream of funding for transit and other multi-model transportation, the report notes that it is not suggesting any additional taxation of Missouri citizens. Rather, it proposes a revision of Missouri’s “Timely Filing Discount” that currently allows retailers to retain two percent of the sales and use taxes they collect from customers if they remit those taxes to the state in a timely manner. This vendor discount is uncapped, remains the second-most generous in the country and cost Missourians about $115 million in 2016. A discount at a lesser percent, or implementation of a cap, would provide revenue savings, which could then be directed to multi-modal transportation. The Task Force also recommends that any potential savings be statutorily designated to go into the non-highway transportation fund. . . .
MPTA members stressed the importance of this investment in their testimonies at many of the public meetings that were held in 2017. This is most definitely a good first step for transit,” said Dorothy Yeager, President of MPTA. MoBikeFed comment: The proposed $50-70 million annually for "multimodal" transportation will be good for walking and bicycling, too--they are among the eligible uses. 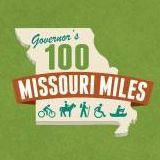 The funding--if approved by the General Assembly--will be distributed to various areas of the state by formula and local priorities will be determined by Missouri's usual transportation planning process, which has significant local input. The question now is whether the General Assembly will take action on this part of the proposal or not.